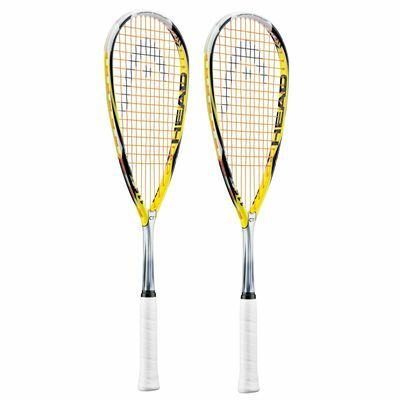 The Head Microgel 115 CT squash racket double pack consists of two high quality rackets that feature the Corrugated Technology which offers explosive power and extra stiffness. Thy have 77.5in2 (500cm2) tear drop heads and weigh only 115g (4oz), which makes them easy to swing and provides more touch and control. No bridge in the throat guarantees larger sweet spot and thus improves the player's performance. 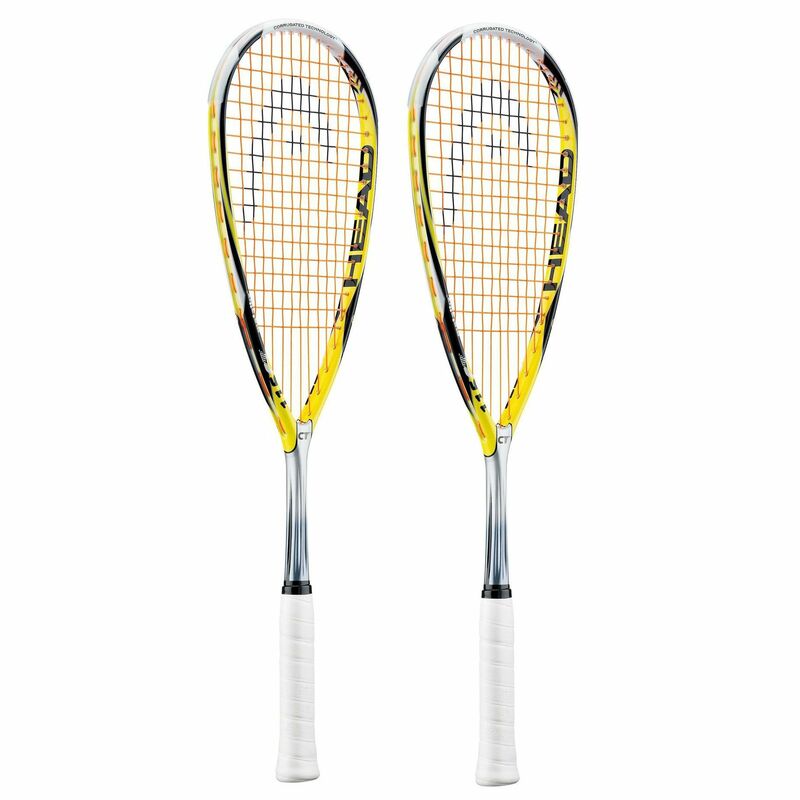 The rackets come with 12 x 17 string pattern and are head heavy which makes them suitable for advanced baseline players. Note: The string on this racket has been changed to Head Synthetic Gut, which is clear in colour, rather than orange. for submitting product review about Head Microgel 115 CT Squash Racket Double Pack.